This report summarizes the highlights of a discussion that took place at Stanford University on April 19-20, 2018. The conference “Social Media and Democracy: Assessing the State of the Field and Identifying Unexplored Questions” convened leading social scientists to discuss the state-of-the-field of research on social media and democracy. The report focuses on high-level take-aways from the discussion, and we do not summarize individual presentations or contributions here. We chose this report format to encourage all participants to speak freely and exchange ideas, in the knowledge that their specific statements would not be attributed to any one individual but would rather be summarized in a collective manner. Thus, this report gives a birds-eye view of points of agreement, items of discussion, and recommended next research questions. 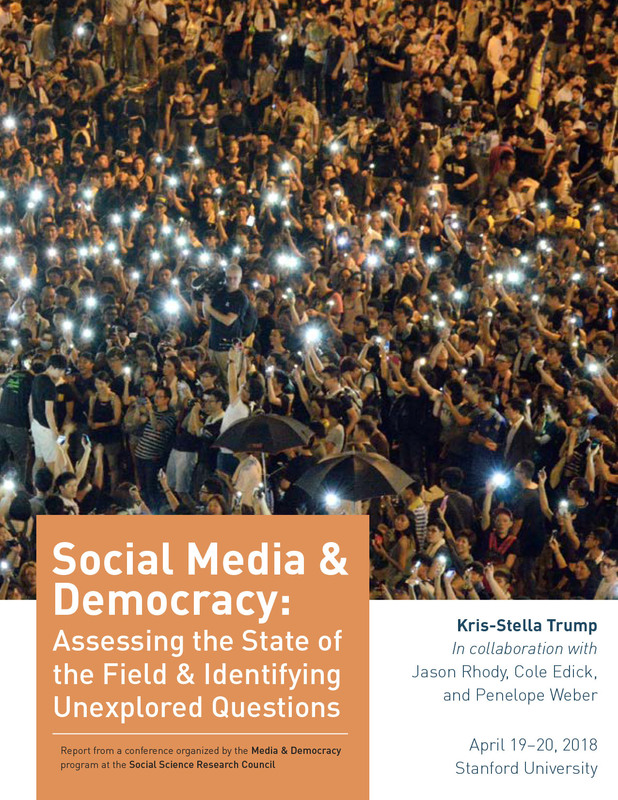 Social Media and Democracy: Assessing the State of the Field and Identifying Unexplored Questions, Trump, Kris-Stella, Rhody, Jason, Edick, Cole and Weber, Penelope (Social Science Research Council, 6/4/2018), http://doi.org/10.17605/OSF.IO/QE9P7.